Is it Friday already? where does the time go? (I know they say that there’s no rest for the wicked, so this week means I’ve been very wicked! 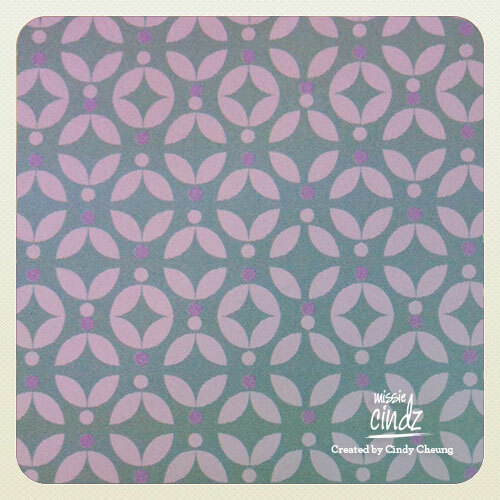 Lately I’ve been fascinated on patterns and symmetrical prints – patterns that register and could be suitable for silk screening (I love silk screen designs, the finishing is so personal and impactful. Lovely stuff!). This exploration of pattern’s has lead me to designing a range of gift wrap prints which I’m hoping to associate with the branding for Vintage Preserves – possibly delving into gift wrap and wallpaper design too? (a sneak peep of the designs can be found above). I feel the patterns complements my line of Preserves really well. I’m currently still working on the preserve labels, working closely with PJ taste to make sure that all the food labelling info’s correct. There’s so much involved ‘legally’ when it comes to food labeling – and of course your Missie/Cindy doesn’t want to get into trouble with any food inspectors so we must get all information accurate and correct. It’s really an eye-opening experience delving into the food industry – you just don’t realise how much time and effort is involved with making a pot of preserve, from the picking of the fruit right through to the sterilising process of each jar and lid and then scooping the fruit mixture into each jar, it’s actually really time consuming. 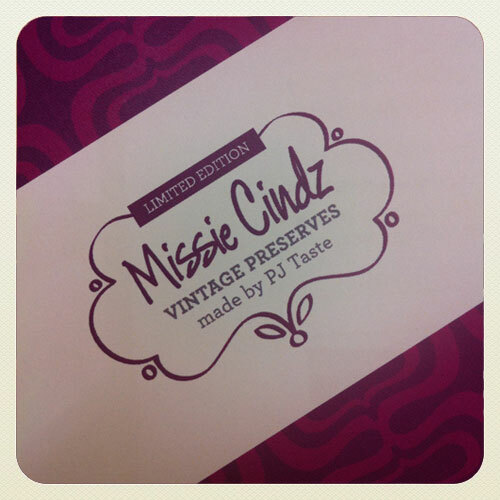 Every jar of fruit’s hand spooned and (will be) hand labeled up personally too by me so each jar of Missie Cindz Vintage Preserves is really personal to me and when I introduce these to you in October, I hope you find these CinDilicious on your morning toast or afternoon scones – Cat Lane Bakery Breads are a treat with Missie’s Preserves! Missie’s Pudding Club attendees next Saturday (17th September) will have first dabs on my jams – Mmmm, Sheffield Plum and Cinnamon on Cat Lane Bakery granary and scones? Yum. 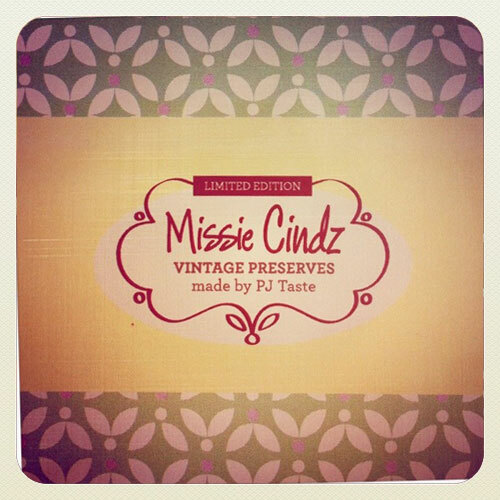 Missie Cindz Vintage Preserves will be available only in PJ Taste (on Glossop Road, Sheffield City Centre) from 3rd October.